Love fresh produce? With more than 250 farmers markets and roadside stands opening this spring, there are plenty of opportunities for you to purchase fresh groceries. Let’s take a look at five reasons you should support your local farmers market or roadside stand. The first reason why you should be shopping at local markets is to support local farms, many of which are family farms. In fact, more than 98% of all farms are family farms. In 2015, 6,448 farmers utilized one of the four state-run farmers markets in Raleigh, Greensboro, Asheville, and Charlotte. The markets are popular among farmers because they give them the opportunity to sell directly to consumers. Also in 2015, 7.11 million people visited just one of the state’s four farmers markets, and there are more than 250 farmers markets and roadside stands across the state. Produce sold at these markets and stands can be the freshest and tastiest food around. To make it easy for consumers, the North Carolina Department of Agriculture put together a useful chart for you to put on your refrigerator. It can be downloaded here. 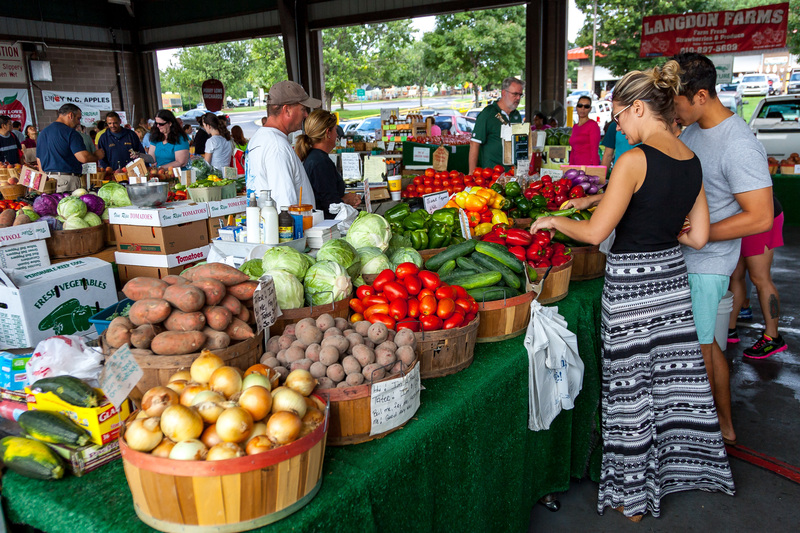 Additionally, shopping at local farmers markets means you are purchasing in-season produce at the peak of its flavor. 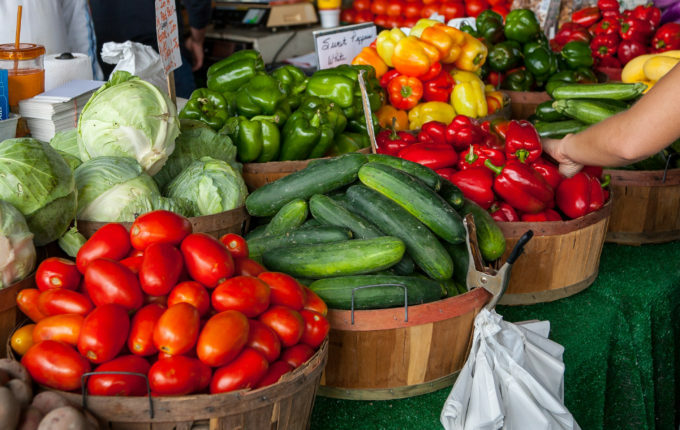 Shopping at your local farmers markets is a great way to broaden the variety of foods in your diet because you can find produce and farm products not available in your grocery store. When you buy food that is fresh and in season, it challenges you to get creative and come up with new, exciting dishes based on what you find. Variety is also beneficial to your health because you consume a wide range of vitamins and nutrients. Ever Wonder Where Your Food Came From? In our fast-paced world, many people have little or no connection with how food is produced. Taking your family to the farmers market means you have an opportunity to meet the people that grow your food. Having a conversation with farmers is a great way to learn about how your food is produced and to give them insight into what foods you like. Educating yourself and your children about how your food gets to the stand might just make you feel more connected to the whole process. What better way to spend a weekend afternoon than perusing a local farmers market with your family? 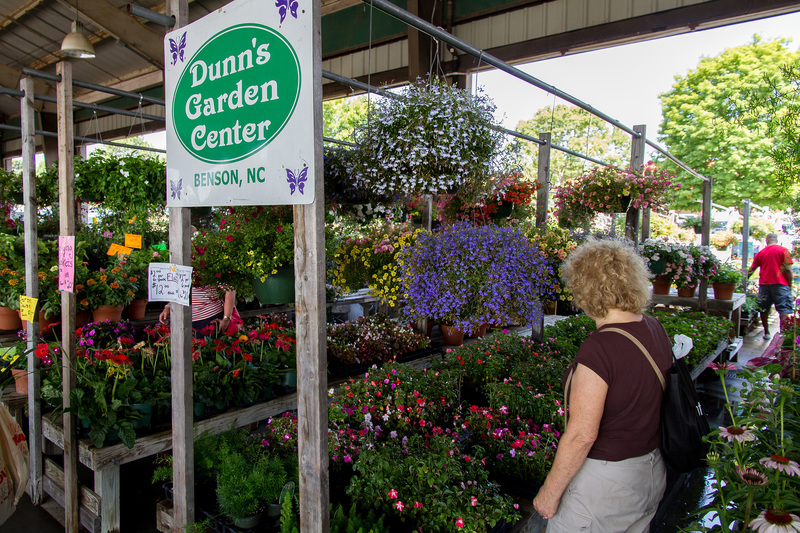 You can spend time sampling the local produce, getting tips for cooking it straight from the farmers or asking for advice about trees, shrubs and plant for your outdoor DIY project. 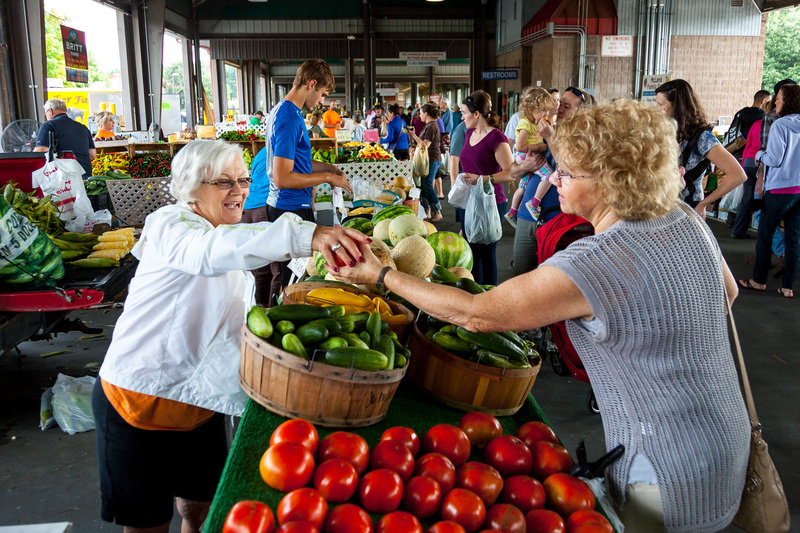 Even if you are looking for fun activities or opportunities to mingle, look no further than your local farmers market. Many markets, both community and state-operated ones, host events and activities to draw shoppers and to help consumers with recipes and other tips for using produce. 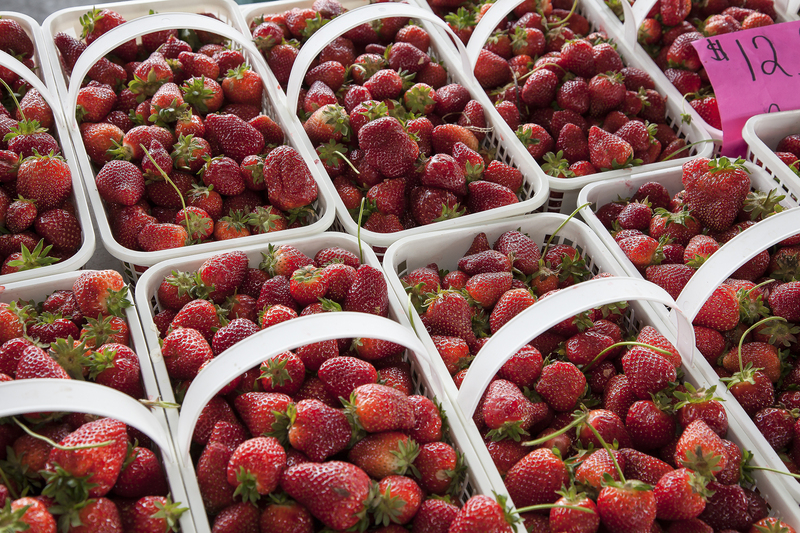 For example, tomorrow, Thursday, May 12, the State Farmers Market in Raleigh is hosting a strawberry dessert contest. Additionally, each NCDA&CS market lists upcoming special events and use social media platforms to promote what is happening at the markets. 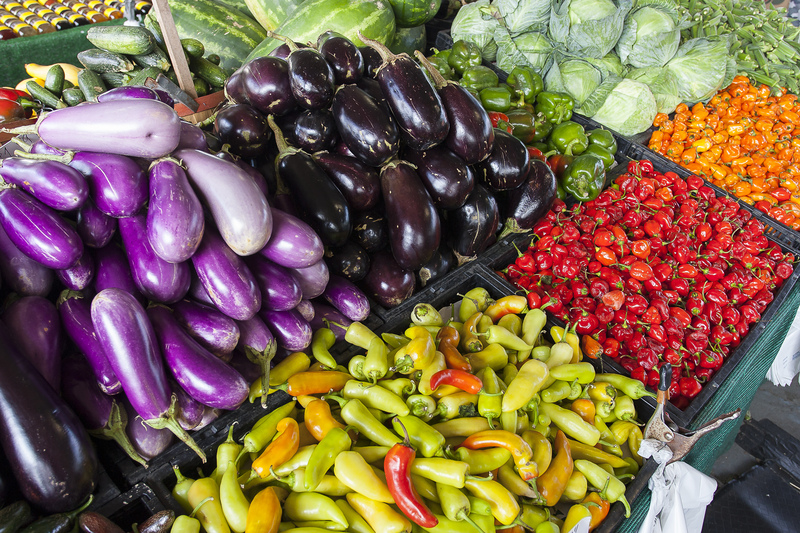 Click here to find a local farmers market near you!